Victims of any type of automobile accident resulting in injury should seek medical attention by a qualified physician and should consult with an attorney to discuss what rights are available. Accidents happen every day. Whether it be a car accident, a truck accident, a tractor trailer accident, a motorcycle accident, a bus accident, a bicycle accident or an accident involving a pedestrian, the office of Alonso Krangle LLP are here to fight for your legal rights. Our lawyers have represented clients and recovered monetary compensation for hundreds of seriously injured victims of automobile accidents. 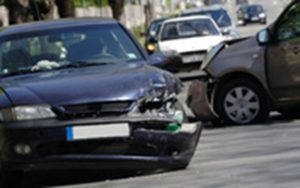 Victims of automobile accidents sometimes attempt to deal with their accident, their injuries and settlement of their claim on their own or think that all lawyers are the same. This is simply not the case. Automobile accidents may involve complex insurance issues, deadlines, confusing police reports. The insurance company that will be investigating the accident will be hiring the best investigators and hiring the best lawyers to defend your case. Injured victims need to do the same. Don’t hesitate, speak to lawyers that will fight for your rights and fight to make sure that you receive maximum compensation that the law provides. Speak to Alonso Krangle. We take pride in the personal attention that we give our clients. We understand that, in all likelihood, this is your only case. We will treat you with the care that your case deserves. We will make sure that your calls are returned and that your questions are answered. Call us for a free consultation.